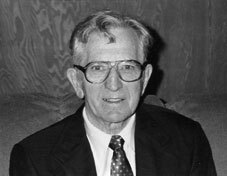 Alfred Hanson (1914-2005) was an American physicist. Alfred Hanson came to the Manhattan Project from the University of Wisconsin where he had recently completed his doctoral work, studying the Van de Graaf "long tank" accelerator. Hanson was relocated to Los Alamos where he continued to work with the Van de Graaf accelerator, due to his valuable experience with the device. 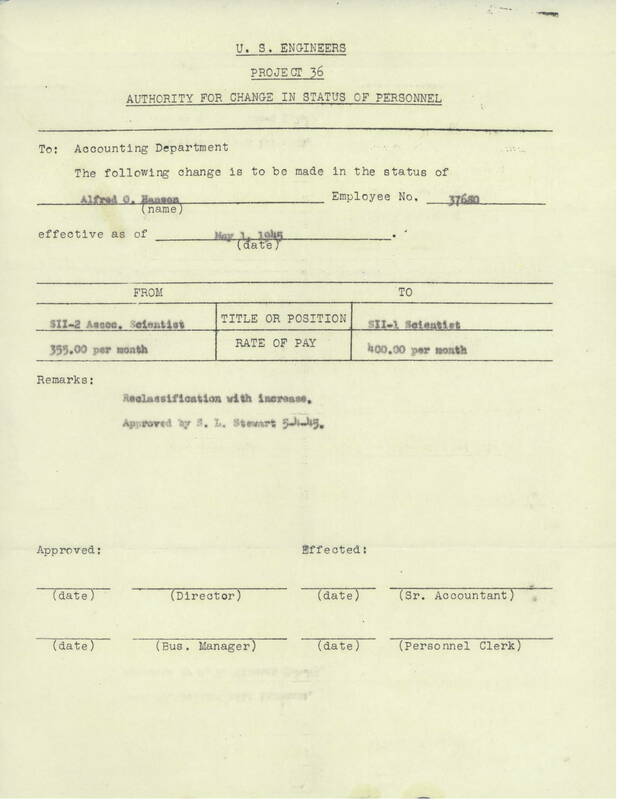 During their time in Los Alamos, he and his wife Elisabeth lived in the same apartment unit as Hans and Rose Bethe. Hanson helped design and build the platform used for the Trinity test and then witnessed the detonation of the Gadget from a distance of 10,000 yards, where he was likely exposed to radiation from the blast. He was also given the task of making the final measurements for the Fat Man bomb that was dropped on Nagasaki. 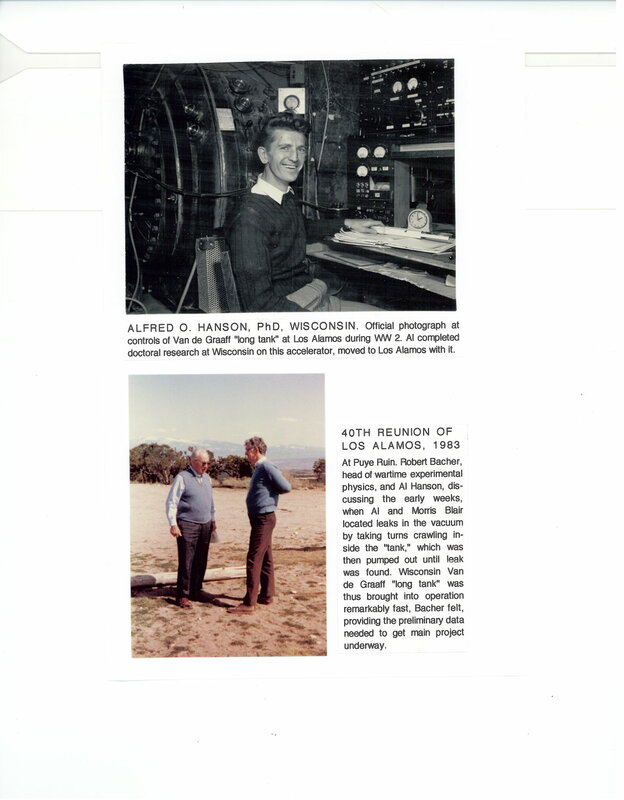 An interview with Alfred's son Andrew about his memories of Los Alamos and his father's work on the Manhattan Project can be found here. 1914 Sep 26th Born in Braddock, North Dakota. 1945 Witnessed the Trinity test. 2005 Jul 2nd Died in Urbana, Illinois.